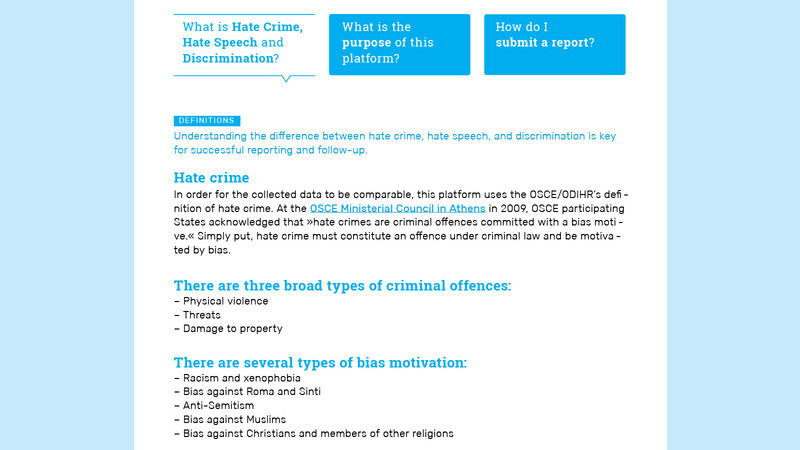 Hate crimes are criminal acts motivated by bias or prejudice towards particular groups of people. In order to tackle hate-crime issues in an efficient and trustworthy way, a web application, suitable for desktop and mobile browsers has been developed in collaboration with the OSCE/ODIHR. 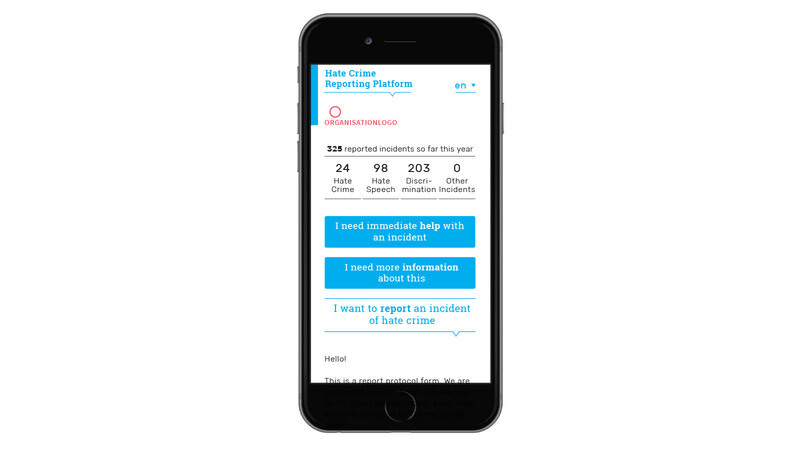 The platform facilitates collecting and reporting data on hate crimes and informs the public on hate crime incidents.